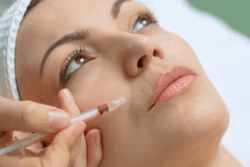 Not surprisingly, many people get nervous when they think of the concept of getting Botox injections. For some, the conjuring up of the image of needles is a nerve wracking experience. And for others, the negative stereotypes that surround Botox are too prevalent in their minds to consider getting the injections – even if they’re not afraid of needles. I say that such fears are not surprising because, unfortunately, there are a number of people out there who are improperly injecting patients with Botox when they shouldn’t be. As I outlined in my last blog, these people are not licensed doctors. It is not only unsafe to have anyone who is not an experienced physician administer Botox injections, but it is also illegal. So how can we rid our society of the negative stereotype surrounding Botox injections? Well, I think the first, and perhaps, best way to do that is to demonstrate exactly how Botox should be administered. On YouTube, Dr. Crippen takes viewers on a simple step-by-step journey through a Botox treatment. The average appointment is between ten and fifteen minutes, but the video shows how the treatment itself can be done in less than two. Firstly, it should be mentioned that, in the video, Dr. Crippen is treating Glabellar Frown Lines. These facial wrinkles have been described as those that are most commonly seen in patients who may have experienced excessive exposure to the sun or who make frowning a habit. The location of these lines between the eyes make it especially important for a professional doctor to perform the treatment. Step 1: Dr. Crippen cleanses the area that needs to be treated by wiping a solution in between an around the patient’s eyes. Step 2: The Botox is prepared for the injection. Step 3: Dr. Crippen finds the muscle landmarks for injection by asking the patient to move the muscles around. This part of the video highlights the importance of injecting the right amount of medicine in the right spot. Of course, Dr. Crippen ensures that this is the case. Step 4: The Botox is injected into the frown muscles. It should be noted that throughout the procedure, the patient is shown as very calm and comfortable. She does not look to be experiencing any pain or discomfort at all. She is quite relaxed throughout the minute or so that Dr. Crippen performs the injections. Step 5: The treated area is cleansed once again. The patients is all finished and is free to go about her daily routine. Quick, easy and painless. And this is because the Botox injections were done by an experienced professional doctor. In a separate YouTube video, Dr. Crippen speaks to this point by commenting upon the “dangers of Botox” as perceived by the general public. “It’s a protein that relaxes muscles, that’s all it does,” explains Dr. Crippen, “As a result, your skin is smoother over time, so it doesn’t change the skin itself in any way, it just relaxes the muscles that we put it into.” He goes on to note that due to its muscle-relaxing ways, Botox can also be used to treat tension headaches, migraines and other conditions. For more information, contact DermMedica toll free at 1-866-861-3070, or if you are in Kelowna, call us at 250-868-3070.